It has been SO LONG since I’ve done a tag post, like a good six months at least. One of the things I’m going to start doing to make my blog a more enjoyable space for me is these tag posts, I might keep them reserved until I need a post and haven’t had time to prepare another one, or maybe I’ll just publish them willy-nilly because I can do that because this is my blog. I don’t actually think anyone tagged me in this but I’m doing it anyway – and I’m also not going to tag anyone specific, but if you want to answer these questions too then feel free! Leave me a link to your answers because I’d love to be nosy and learn more about everyone else too. – Anything Christmas or vanilla. I love Autumn because that’s when I can start buying my Christmas scents, and vanilla works all year round. I have a Christmas candle and 2 vanilla ones lit right now. – Emilia Clarke because she seems like such a funny person and I’d maybe get to go to the Game of Thrones set with her and meet some of the cast. – Probably a comedian like James Acaster because that’d be hilarious, probably a bit annoying but mostly hilarious. – Hopefully mid-twenties, but you have no idea how things are going to work out in the future. – Nope! No matter how hard I tried, I never got there. – Probably about 5 or 6, I think. – Ooh I actually don’t know. Probably just one because I tend to prefer pools. Less fish. – Quite a lot, I was a well-travelled little child. I’ve been to Toronto, Lake Garda, lots of places in Spain, I’ve visited Vienna as a child too and, most recently, Budapest! – Emilia Isabella. It’s my favourite name ever and I actually don’t even want to share it in case someone steals it. – I failed my psychology exam because I didn’t sit it…Apart from that, I failed a level of Biology but passed the level below so I didn’t fail the exam, if that even makes sense. – How young are we talking? 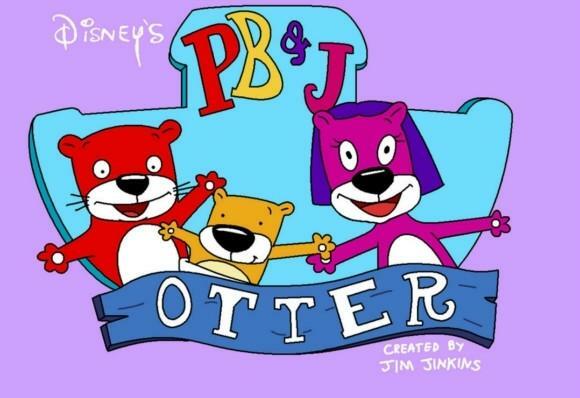 I loved PB&J as a little kid, then Totally Spies, then probably Hannah Montana. – Most likely a witch. Or Daphne from Scooby Doo, my mum and I both dressed up as her one year but her costume was better because she got a wig. – I’ve read the whole Hunger Games series and none of Twilight, and I’m not sure how many Harry Potter books I’ve read but it’s definitely not them all. – British! Sometimes I hate my Scottish accent but other people seem to love it, so I’ll stick with my own. – She did not, and neither am I! – I did Judo for a little while but I’m definitely more of a dance kind of person. 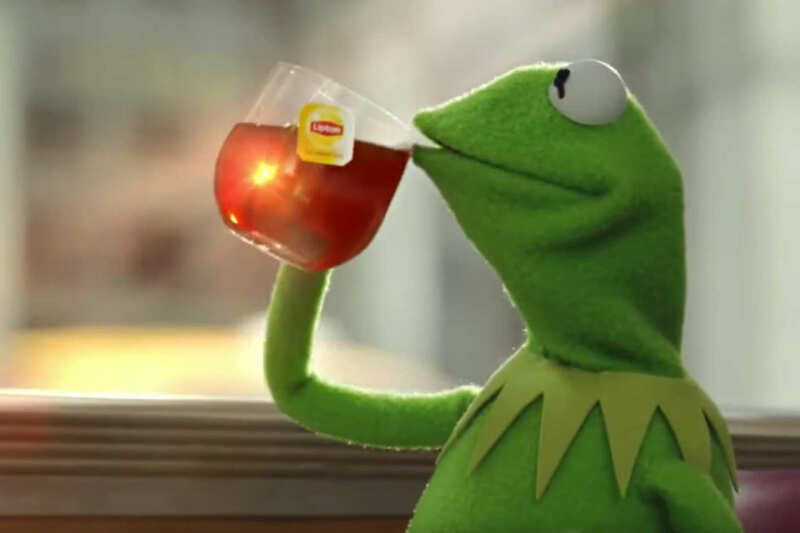 – The Kermit drinking tea meme is the best one. – I think it was Disneyland, but I hate rides so I doubt I went on anything other than It’s A Small World. – Italian or French! I tried to teach myself Italian but gave up and did really well in French in school but didn’t take it any further. – Yes he is, and I’m probably on my way judging by the amount of hair that falls out in the shower. – I do, I used to be best friends with 2/3 of them. – I have actually seen neither of them! – Indian food is possibly my favourite, I could eat garlic naan bread every single day. – I lovev GBK, I dream about the skinny fries and chicken burger daily. – Once, I forgot to ask for my chicken burger without mayo and haven’t been back since. – I don’t, but my mum and I are desperate to get into Costco and explore. – Cameron, as I’ve been told. – My dad used to call me Loulabelle (hence the blog name), he still calls me Lou and my boyfriend’s favourite nickname for me is Spud because I have a potato shaped head. – You’ve caught me on a good day so I’m gonna say my boyfriend. Other than him, definitely my mum. – Right now, city. Because I’m getting into digital marketing, most opportunities are in cities. Once I settle down, a countryside would be lovely because I want SO MANY DOGS. – Nope! I need complete darkness, even the ‘off’ light on my TV keeps me awake if I can see it. – I do, but not always before I get to work. I almost always eat it when I get there because I value sleep over breakfast. – Not anymore, since ditching the pill. – None that I know of, apart from hay fever but that’s not exactly awful. – None for myself, touch wood. A few times to visit other people but I generally dislike the hospital atmosphere so I don’t like going. – Many times, I have also seen Finding Dory which is such a good film. – I’m not loyal to one place, and I generally hate wearing jeans so I don’t buy them often. I have some from Tesco and Missguided that I wear all the time, but that’s about it. – It was probably my boyfriend telling me I looked nice yesterday when I actually made an effort with my makeup. – Rarely! I remember the really weird or scary ones but usually forget them after about 20 minutes. – I like just standard tea but I also like camomile and honey a LOT. I haven’t tried many flavoured teas but I have a lot in my cupboard. – Oh god, too many to count. And I wear…3 pairs. – I wasn’t raised to any religion so I think I’ll do the same for mine, but if they want to then I won’t stop them. – About 9 or 10 I think, my neighbour told me and my parents were SO angry. – Because I love writing and I love sharing my thoughts, feelings and recommendations in an online space that is fully my own. It’s a hobby that provides a massive sense of fulfillment and pride, and I love the whole thing so much. Again, if you do this tag, leave me a comment and let me know! Hope you enjoyed being nosy.